the form of a brand new indie debut on Steam with the Early Access release of Victory: Age of Racing. Although not an MMO by traditional standards Victory: Age of Racing embodies many of the same elements with its heavy focus on multiplayer gameplay, player engagement and community content. 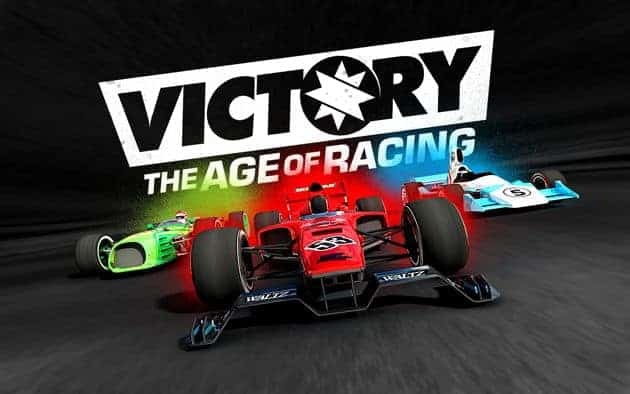 Unlike the traditional approach to titles in the racing genre Victory: Age of Racing promises to deliver unique experiences on a variety of levels. Whether you’re a ruthless killer on the track, a talented behind the scenes designer creating your own cars or a skilled technician tweaking your machine to its highest level, there’s an intriguing selection of activities on display. that we want and players want. The end-goal is to provide players with a sandbox racing experiece where the community create the cars, tracks, championships and events that will shape the future of the online racing genre. For more information on upcoming features you can check the official Steam page.